Travelling costs money, there's no way around it. But what if you could save thousands of dollars on accommodation costs? That would definitely bring your daily budget down to a minimum while on the road. 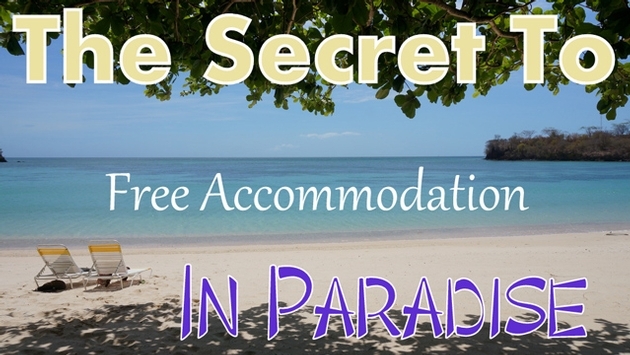 The secret to living in paradise for free? House sitting and pet sitting! Basically, homeowners want to go away travelling, but they don't want to put their beloved pet in a kennel for months on end. Here's where you come in. You take care of their home and pet in exchange for living at their property for free! It's a win-win situation really. This is becoming a very popular way for people to travel around the world, while being able to save money on accommodation costs. The benefit for the homeowner is that they can enjoy their vacation knowing that their home and pet are in good hands. House sits vary from as short as one day, to as long as one year — maybe more. 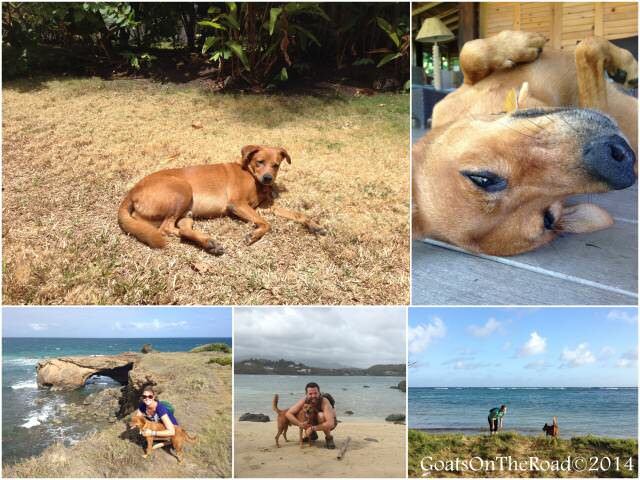 Photo: A beachfront villa on a lovely property in Grenada is a pretty good place to pet sit! Some house sits are more desirable than others and it's important to be choosy when picking the temporary home of your dreams. Canada, America, Australia, England, France and New Zealand are the countries with the most homes available. Often though, you'll find mansions in Italy, penthouse apartments in Abu Dhabi, beachside villas in Grenada and jungle homes in Costa Rica. 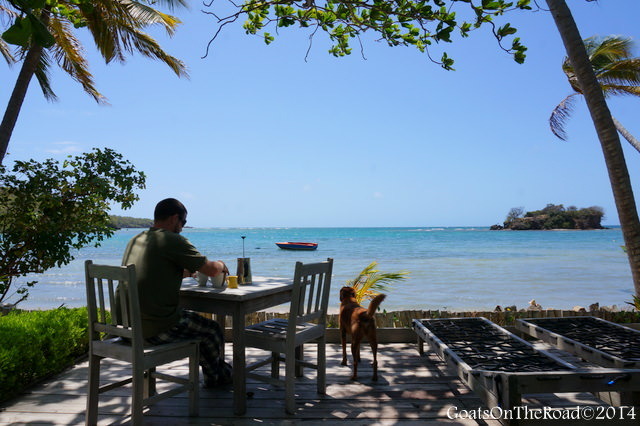 Photo: Pet Sitting on a beautiful seafront property in Grenada. There are many different styles of homes to choose from in many different countries. It's important to not get blinded by the potential to live in a stunning beautiful home and make sure it makes sense financially to fly all the way there. If it's going to cost you thousands of dollars in flights, then are two weeks of free accommodation really worth it? For most house sits, you'll have to take care of the pet (including walking, feeding and administering medication in some cases) and maintain the home (gardening, garbage disposal, general maintenance). It's important to have a firm grasp on what you're expected to do before agreeing to a sit. In some cases, owners will want you to manage their staff or property (if it's a hotel, vineyard, etc.) You may consider asking for payment if you will be expected to be the manager as well as house sitter. Photo: For most house/pet sits, your main duty will be to take care of the beloved pet. Having a video of yourself, either with or without animals, will really give the homeowners a better idea of who you are and what your personality is like. You'll also want to upload the maximum amount of photos allowed (4 on Trusted House Sitters), including some of you with animals, as well as an upclose photo so people can get a good look at you! Photo: It's important to have a good profile. Next is references and a police check. The more references you have, the higher up in the search results your profile will be. Ask friends, family, co-workers, bosses and anyone you've previously house sat or pet sat for. If you have a police check as well, that will boost your ranking in the system. They can usually be picked up from your local police station, but can take 3-8 weeks to procure, so you should get this process started early. 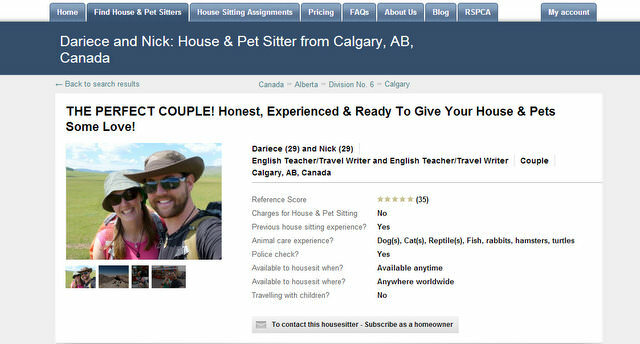 Becoming a house sitter or pet sitter gives you the opportunity to enjoy the company of a furry friend, while travelling around the world and experiencing living like a local in various countries. Being a traveller is one thing, but actually staying put in one place for longer than a couple of days will really give you a good idea of what the country and its people are like. 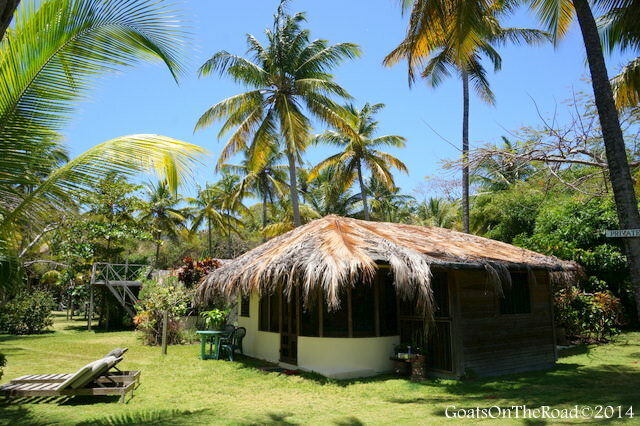 House sitting and pet sitting are great ways to fully immerse yourself in the culture, while being able to travel at a slow and relaxed pace. This is the ideal situation for both homeowners and house sitters, so what are you waiting for? Sign up today and live in paradise!